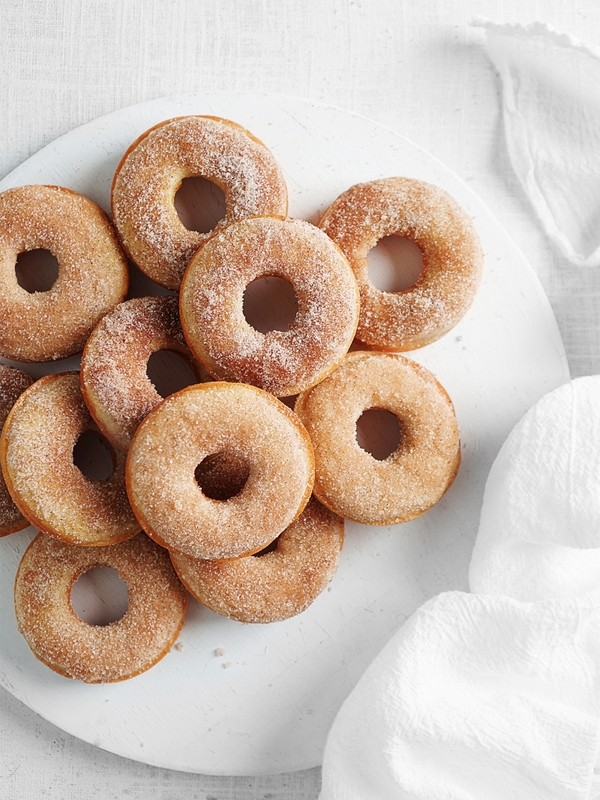 Baked Cinnamon Donuts that melt in your mouth are so easy to make home. 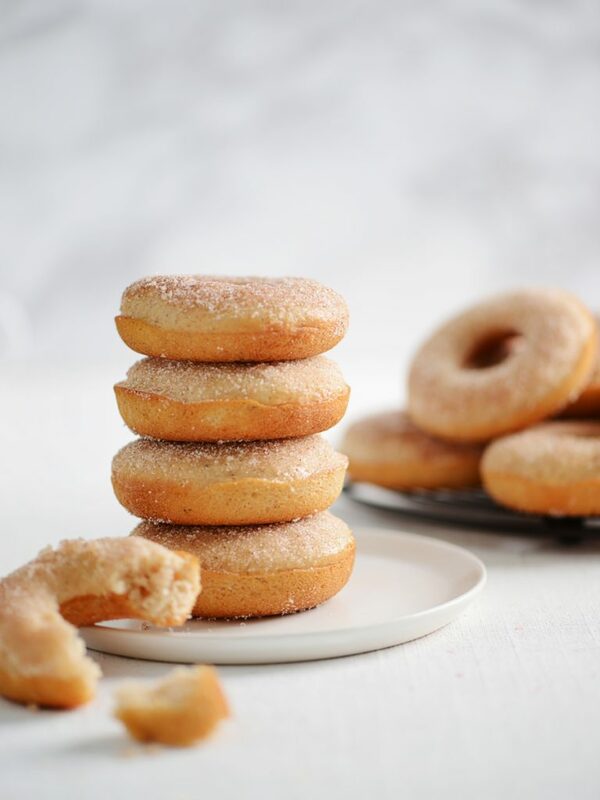 They’re ready in less than 30 minutes and the cinnamon sugar makes them irresistible! Mr. Delish is a donut lover and takes any opportunity he can to buy donuts. I love them too (sooo much!) but the thought of eating something that is fried in oil turns me off just a little bit. I know that everything is okay to eat as long as it’s in moderation, but why not still enjoy it with a little less guilt? So I decided to spoil him with these baked donuts instead! These Cinnamon Baked Donuts taste like the real deal! 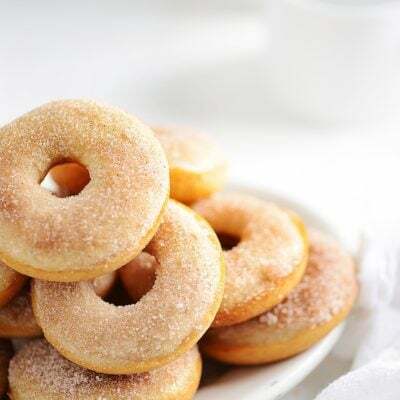 Brushing them with melted butter and then dipping them in the sugar cinnamon mix is what’s makes them taste like a fried donut. Mr. Delish even said that they taste ‘almost’ as good as the amazing mini donuts we had in Pike Place Market in Seattle. That my friend, tells you that these donuts are worth getting a donut pan for! The recipe calls for 1 extra large egg. Since I only buy large eggs (and they seem to be getting smaller & smaller), I added 1.5 large eggs instead. How do you do half an egg you may ask? Well, the first egg I add in a bowl, whisk it, then remove half of the mix just by eyeballing it. Just do the best you can and will still turnout alright. When mixing the melted butter with the egg & milk, make sure the butter is cooled off. If you add it when it’s hot, the egg will turn into custard and you definitely don’t want that! The best part of this recipe is that there is no electric mixer involved! Clean up is a breeze! Baking time always vary depending on the oven so start keeping an eye on it starting at the 17 minute mark. 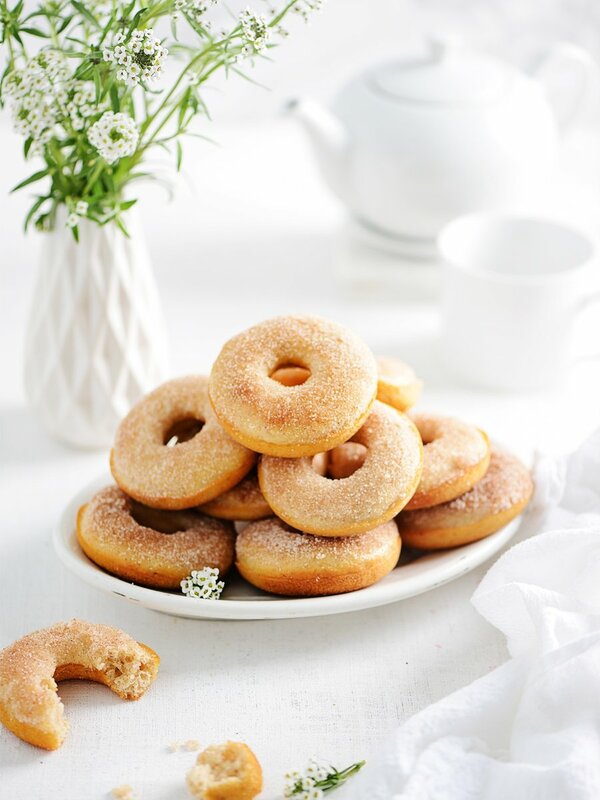 Baked Cinnamon Donuts that melt in your mouth are so easy to make home. 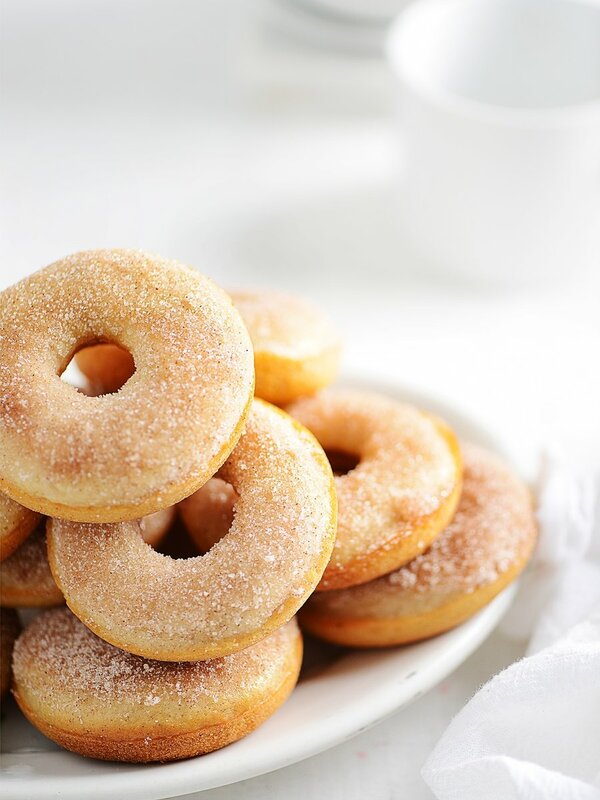 Are ready in less than 30 minutes and the cinnamon sugar makes them irresistible! Preheat the oven to 350 degrees F. Spray donut pans with the baking spray. In a large bowl, mix together the flour, sugar, baking powder, cinnamon, nutmeg, and salt. Add the wet mixture into the dry ingredients and mix with a spatula until just combined and dissolving all lumps. Add the batter into the donut baking molds, filling each one about three-quaters full. Bake for 20 minutes or until the donuts are lightly browned. Cool for 5 minutes on donut pan before removing. In a small saute pan, melt the butter, removing the white foam from the butter with a spoon as it forms. If you like desserts with cinnamon, may I suggest these Banana Crumb Muffins? I posted this recipe originally in May 2013 and it has been updated with new photos and a few additional notes. Same delicious flavor! These look yummy. I don’t have a donut pan and I’m wondering if a mini muffin pan would work. What do you think? Hi Rebecca! Definitely! The baking time will probably be about 17 minutes as well depending on your oven. Enjoy! Hi , doughnut looks perfect. Can u suggest me a replacement for egg ? I want to try this recipe. Hi Chitra! You could use 1/4 cup of vegetable oil instead of the egg or 1/3 cup of applesauce but that may change the flavor slightly. I have no doubt it will still be delicious!! Let me know if you make and and how it worked! Thanks! These look amazing! I’m picturing them warm out of the oven, with all the crusted cinnamon sugar, and I’m pretty much drooling. Yum! 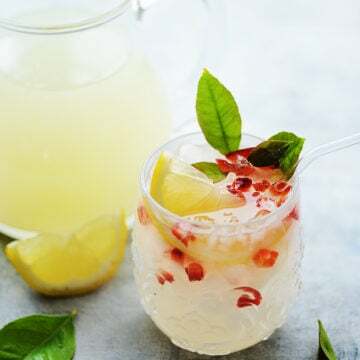 These look so delicious and your photos are stunning! 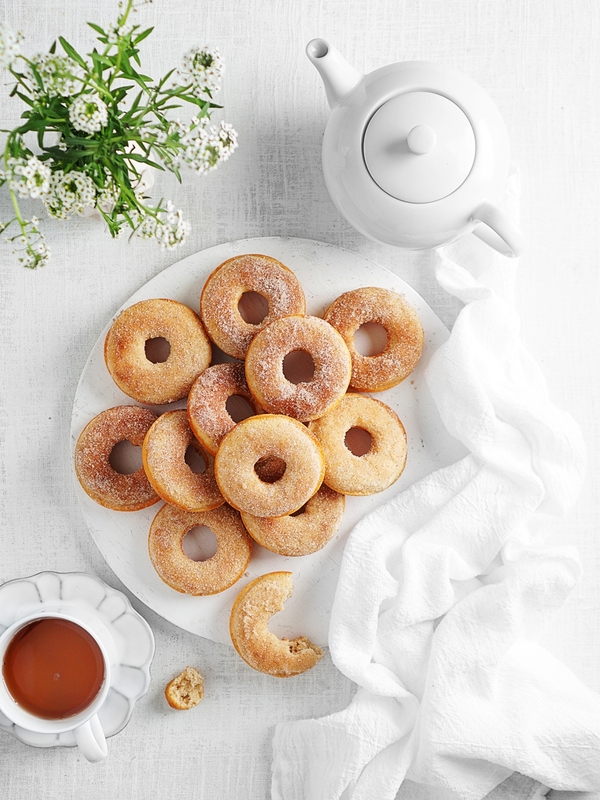 Baked donuts have become a special food tradition in our house. 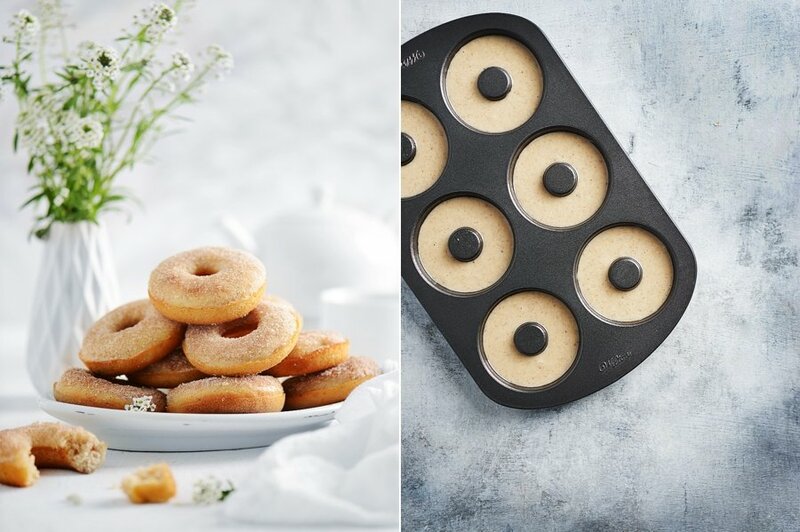 What if we want to use a mini donut pan? Cooking time? Hi Ted! 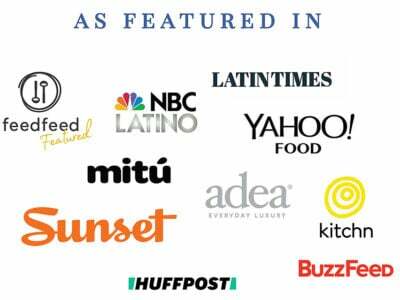 What a cool site you have!!! Of course you may include these donuts. I look forward to seeing it there!